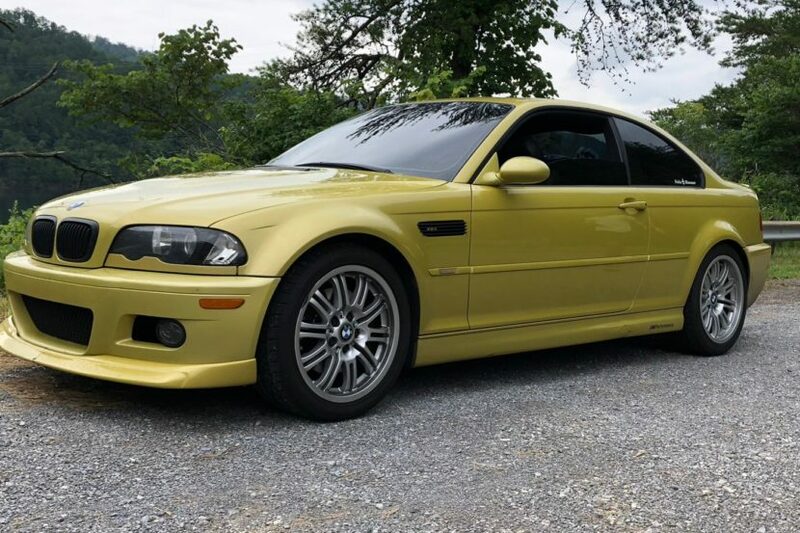 Would you daily this Phoenix Yellow E46 BMW M3? Home / Models / BMW M3 / Would you daily this Phoenix Yellow E46 BMW M3? The E46 BMW M3 has become an icon of driving dynamics. When people test new sports cars, they often use the E46 M3 as the benchmark with which to test it against. However that’s also led them to become very expensive on the used market, often commanding simply absurd prices. It’s likely the best M3 of all time but we’re not sure it’s worth as much as people are asking for them nowadays. Which is why a lot of enthusiasts tend to lean more toward more heavily used examples to save some money and just fix it themselves. Sort of like this specific M3 that recently popped up on Bring-A-Trailer. 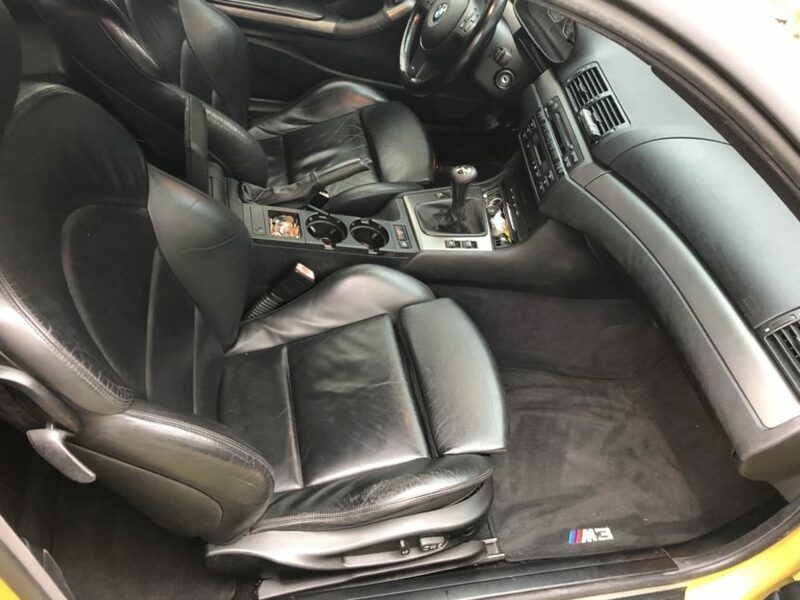 This 2002 E46 BM3 is a very interesting car. For starters, it’s painted in Phoenix Yellow, one of the cooler and rarer E46 M3 paint colors. It also has a six-speed manual, as it should. Sounds perfect right? Well, it also has 129,000 miles on it. Honestly, that’s normally not bad mileage for a car of its age. However, the engine in the E46 BMW M3, the famous S54 engine, was famous for bad rod bearings at anywhere between 60,000-100,000 miles. This could lead to catastrophic engine failure. Thankfully, this specific car has had its rod bearings replaced, as well as quite a few other mechanical repairs to keep it running properly, such as a rebuilt VANOS. It also has a Dinan strut bar and comes with two sets of wheels. So it sounds pretty good. And at $8,000 with two days left on the bid (at the time of writing this), it could be had for an affordable price. With that sort of mileage and quite a few repairs, and considering it’s not a minter, would this E46 BMW M3 be the perfect daily E46 M3? It seems like the sort of car you could drive everyday, drive hard and not care too much about its condition, because it’s already been through a lot. There’s no worry about keeping it concourse-condition. So, at that price, could this be your new daily sports car? Would you buy a brand-new E46 BMW M3 with an SMG? VIDEO: What makes the E46 BMW M3 so great?